Apple is once again at work on serious improvements to iCloud, a recent job listing may suggest. The company is hunting for a senior product designer, according to the listing, spotted on Reddit. It was opened on July 9, but has yet to be filled and calls for someone to "work on new products and initiatives, and enhance existing experiences, for iCloud and Apple ID." Candidates must be familiar with "Sketch, Keynote, Photoshop, or other design tools," and have five years of experience in user interface design, as well as "deep" familiarity with iOS and macOS. "This person will specialize in distilling complex technical requirements into simple and effortless experiences for customers that uphold Apple's commitments to user privacy and security," the description explains, adding also that candidates should have "exemplary presentation skills in order to convey design directions and reasoning to executive sponsors." That indicates that the incoming designer will be responsible for high-level changes. The job could simply represent the status quo, but Apple's online services are becoming increasingly important to its bottom line. In the June quarter, services revenue rose 31 percent year-over-year to $9.5 billion. That segment includes not just iCloud but Apple Music, iTunes, Apple Books, the App Store, and AppleCare. The company will at least need to keep iCloud and iCloud Drive competitive with similar online services from Amazon, Google, and Microsoft. 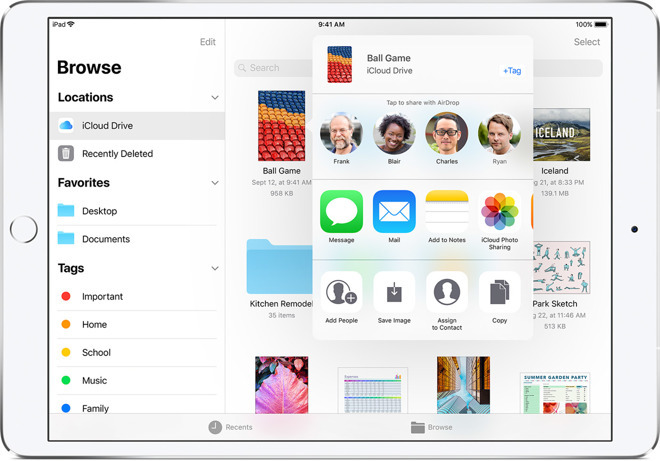 While people are often latched into iCloud from the moment they buy an Apple product, they can still choose to use alternate services for things like calendars and file storage. The company has several paid iCloud plans, costing 99 cents per month for 50 gigabytes, $2.99 per month for 200 gigabytes, and $9.99 for 2 terabytes. In fact Apple is often criticized for its 5-gigabyte free plan, since that room all but evaporates after backing up a single device.